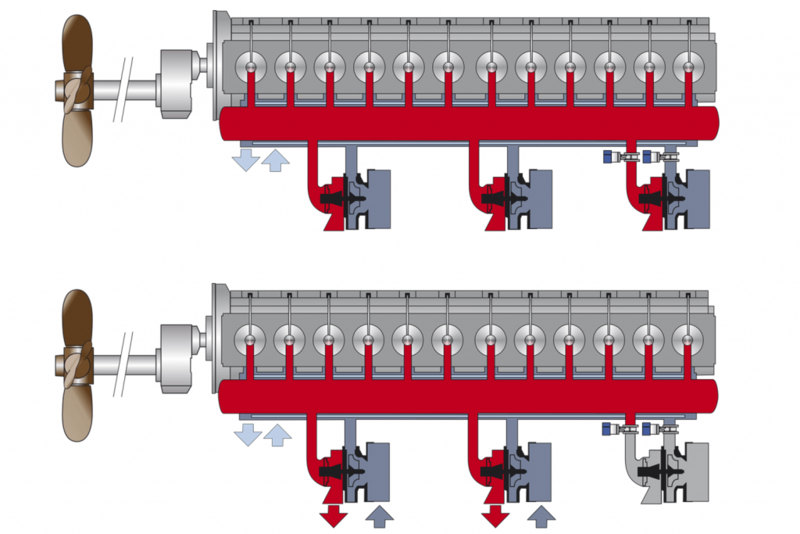 When a ship’s engine is running at reduced speed, one or several of the turbochargers can be disabled to let the remaining one work at a higher and more efficient load. SOMAS exhaust and butterfly valves are used to close the exhaust and air flow going both in and out of the turbocharger. These valves are designed to optimize flow for the pressure drop to be as low as possible when the valve is open. SOMAS has the knowledge and experience needed to manufacture valves that give the opportunity to get maximum economic and environmental gain.